So you’ve done your research and decided Costa Rica is the place to go for your family vacation. 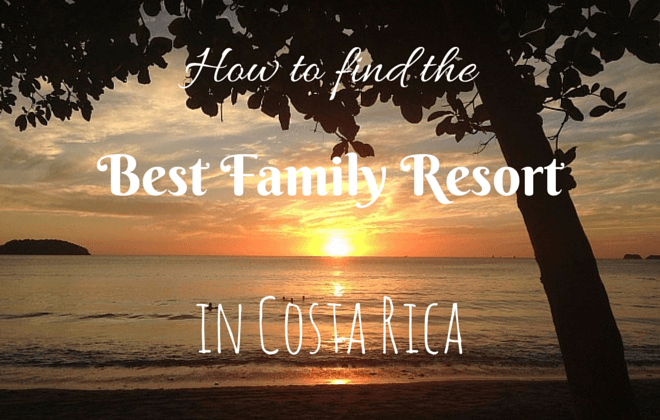 Now for the hard part – finding the best family resort in Costa Rica. 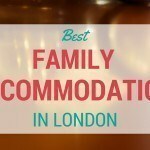 Finding the best family accommodation is one of the jobs I like least. Working out if kids are free or an extra charge, if the room has enough beds, if breakfast costs extra, etc etc can be quite stressful. To avoid some of this stress, here are my tips for finding the best resorts in Costa Rica for families… or you can just skip to the bottom and book one of the best kid friendly resorts which we have found for you. All inclusive hotels can be awesome on a family vacation to Costa Rica. In our experience, we have had our best breaks when we have stayed in all inclusive resorts. Knowing that all our food and drinks are taken care of makes life a lot easier and it can be more enjoyable to not be calculating the cost of everything all the time. However, all inclusive is not for everyone. We find it can mean that we are less likely to get out and explore and try other food options which is a shame. If you want to get out and about a lot on your Costa Rica family vacation, I would recommend foregoing an all inclusive option and staying at a regular resort. Some resorts have the option of either being all inclusive or not. This can be a good compromise – you may be able to be all inclusive for the first part of your vacation when you want to relax and unwind, then stop paying the extra fee for the next part while you explore what is on offer in Costa Rica for kids. The next step is to make a shortlist of family friendly resorts in Costa Rica. 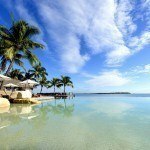 How can you tell if a resort is family friendly? Look at the description, amenities and the rooms available on the hotel booking site. 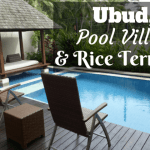 If kid friendly features are mentioned – such as kids’ pool, kids’ club, playground etc and there are rooms which would suit a family, then this is probably a good choice. Or take a shortcut and go to our list of the top 6 family resorts in Costa Rica below! The next step is to check reviews to find the best family hotels in Costa Rica. I use TripAdvisor a lot for this but you need to be weary as there can be fake reviews. Check that any reviews you read have been written by people that have reviewed at least 5 properties. I recommend filtering the reviews by family, so that you are only reading reviews written by people in a similar situation. Hotel booking websites are also a great place to read reviews as usually the reviewer has to have made and completed a booking with the site before they can write their review. I find these reviews more reliable. You don’t need all the reviews to be good, but you would want the vast majority to be positive. If there is an element of a resort which is especially important to you on your Costa Rica family vacation, then look out for this being mentioned. For example, if you need an excellent beach make sure the reviews mention this. While looking for the best family resorts in Costa Rica, it is important that you check for hidden charges. Sometimes the rate quoted will only be for two people and you will have to pay extra for your kids. What can be worse is that sometimes there is an extra charge to have the kids in your room then an additional one for them to have the included breakfast with you. The charges can also be dependent on whether you need extra beds in the room so consider this when picking a room type. For these reasons, it’s important to read the fine print to be sure of the total cost. You may also need to ring or email the resort to be completely sure. For this step, consider what attractions and activities you want to do in Costa Rica with kids and ensure you are picking resorts which are in a good location to do these activities. Google maps is a great tool to do this. If you need some inspiration, here is a list of popular destinations in Costa Rica. Depending on your travel style, you might want to gravitate to these places or avoid them! 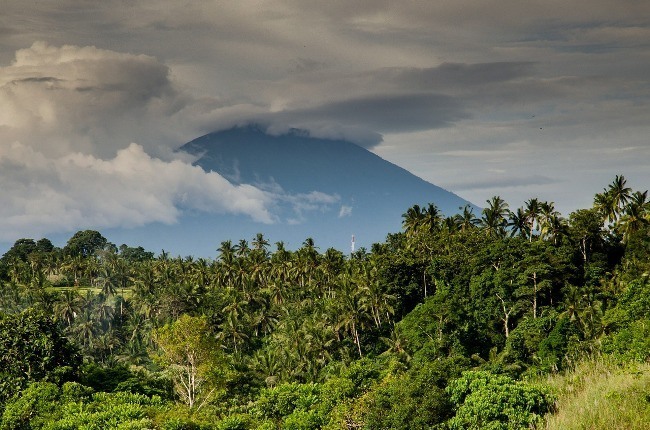 Jungles, volcanoes and beaches – the choice is yours! If you are not choosing an all inclusive option, it is also worth checking that you are staying in an area with lots of eating options around. We find it stressful when it is not super easy to get food. Now that you know the pros and cons of each of your Costa Rica kid friendly resorts, it’s time to make a decision. Personally, if all other aspects of the resorts I have chosen are equal, I just pick the cheapest one. Why spend extra money if it is not necessary? Congratulations, you have picked the best Costa Rica resort for your family. Get ready to enjoy your vacation! Situated on 842 acres of untouched rain forest along the beautiful Savegre River, offering numerous activities, adventures, tranquil scenery and excellent cuisine, The Rafiki Safari Lodge is a great choice for the family. If you’re looking to soak into nature, eat delicious food, surround yourself in tranquility and cool off in a waterfall this is the place for you. The luxurious Safari tents are large enough to sleep up to 4 people, with a fully functional modern bathroom, a lovely private deck over-looking the grounds and rocking chairs just waiting for you to sit and enjoy the scenery. There are a range of room types all of which are very reasonably priced. Best of all children under four sleep and eat free! With all meals included, enjoy delicious, freshly prepared cuisine from their resident chef, including their famous South African barbecue. Rafiki Safari Lodge provides many activities including whitewater rafting, horseback riding, hiking among waterfalls, and world-class birding. There are a number of packages involving these activities to chose from, if you wish to do so. The Rafiki Safari Lodge prides itself on its high quality service and strives to offer as much as possible during your stay to make it as comfortable as possible. Best parts: Many activities to choose from. Be aware: Some meals are not provided while on the beach camp. Best for: Singles, couples or families looking for an adventure. Click here for the latest prices and more details of the Rafiki Safari Lodge. Arenas del Mar Beachfront and Rainforest Resort is a luxurious five star resort that honours their commitment to being ecologically responsible without compromising comfort. Nestled in the middle of the rainforest, surrounded by pristine beach and offering numerous activities, delicious food and impeccable service, it doesn’t get much better. Arenas del Mar offers a number of activities and tours, including Horse back riding, Kayaking, White water rafting, Surfing, Sailing, zipling, mountain touring, tortilla making, and more, sure to keep the kids busy! If this isn’t enough, there is Manuel Antonio National Park within walking distance and a rainforest outside your door, there really is countless options. The beaches and wildlife surrounding Arenas del Mar are truly pristine, with numerous amenities offered, including beach chairs, towels, toilets and even security guards to safe guard your belongings, relaxation is easy. The cuisine offered in all of Arenas del Mar restaurants is exceptional, from the ‘El Mirador Restaurant’ overlooking Espadilla Beach, with breathtaking views and freshly prepared food, to the ‘Playitas restaurant and bar’ offering a delicious lunch menu located next to the secluded Playitas beach, enjoy beautifully fresh fruit and seafood. There are many rooms to choose from depending on your needs, from ocean views to honeymoon suites and even the convenient family option of connecting rooms. With numerous amenities provided, including; daily maid service, air conditioning, spacious bathrooms, organic soaps, lotions and shampoos, hairdryers, wifi and much more. Arenas del Mar beachfront and Rainforest resort is the perfect location for the family, with so much to offer, from activities for the kids to the sunset bar for adults, it truly is an exceptional resort for anyone looking for an unforgettable luxurious nature experience. Click here for latest prices and more information on the Arenas del Mar beachfront and rainforest resort. Best parts: Private beach with restaurant, pool and restrooms on premises. Be aware: Located 3 hours away from international airport. 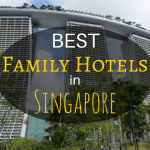 Best for: Families and honeymooners. Located just 2 kilometres from a Costa Rican city centre and situated on a beautiful beach, The Barcelo Langosta Beach resort is a great place for the family. Offering numerous activities and amenities, delicious cuisine and a serene surrounding, this resort is truly a unique spot for nature lovers. Barcelo Langosta Beach hosts many of activities, from health and beauty related to a variety of sports and entertainment. Health and beauty options are a fitness centre, body and facial treatments, sauna, hot tub, manicure and pedicures and more. Sports available include surfing, tennis, beach soccer, kayak, table tennis, beach volleyball and giant chess, perfect to keep the kids occupied while you enjoy a relaxing spa day. Barcelo offers numerous amenities, from room service, laundry service, dry cleaning, babysitting and childcare, medical services, excursions, wifi and much more. As for dining, the resort provides some of the most exquisite international cuisine at their ‘El Oceano Restaurant’, lobster being their specialty. ‘Langosta Main Restaurant’ Is another option for dining which offers a buffet style, with different themed nights, so you can enjoy anything from Spanish Paella to Mexican Tacos. The kids will be kept occupied with the children’s swimming pool and night-time childrens shows, while you can relax in the hot tub, sipping on a cocktail from the bar, with live music and beautiful sea views. The resorts accommodation features three types of rooms. From the superior room, featuring impressive views of Marino las Baulas National Park, to the ‘suite duplex’ with ocean views and a beautiful bathroom to finally the ‘Master suite duplex’ featuring large windows with the stunning view of the ocean and forest. The Barcelo Langosta Beach Resort is one of the best family friendly Costa Rica destinations as it caters perfectly to the needs of children and adults alike. Click here to see the latest prices and more information on the Barcelo Langosta Resort. Best parts: Provides lots of amenities. Be aware: Some rooms only accommodate 2 people. Best for: Families with a love for nature and sport. 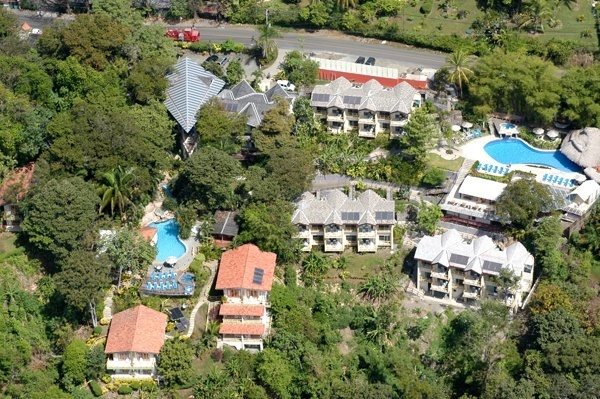 Los Altos Beach Resort is one of the best family resorts you will find in Costa Rica. 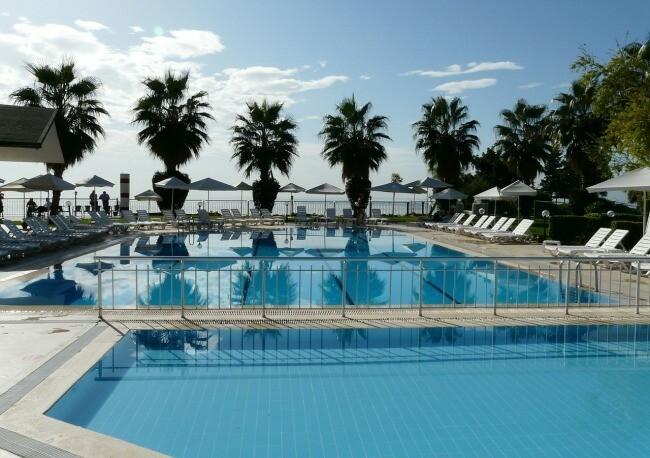 This resort provides a family orientated environment, to satisfy adults and children alike. With countless activities and amenities, breathtaking views from each condo and a luxurious sense of privacy this resort is sure to please any family. Los Altos provides numerous activities for guests to choose from, these include; touring of the beautiful Manuel Antonio National park (a must see while in Costa Rica! ), boat tours, jet ski tours, kayaking, horseback riding, walking tours, just to name a few. And if you want to stay within the resort, their infinity pool with a shallow end for children, nature trail and beach provides a beautiful setting for family time. Otherwise, if you need a short time away from the kids, the resort are more than happy to organise your own babysitter. The resorts accommodation offers either ‘Luxury’ or ‘Penthouse’ suites. The luxury suites allow guests to chose from 3 bedrooms; a master bedroom, a queen bedroom or 2 twin beds, 2.5 bathrooms and 3 balconies, with a beautiful view of the ocean from the living room. The suite is accessed by your personal elevator, providing a luxurious sense of privacy. The penthouse suite features, a master suite, king master bedroom, queen bedroom or two twin beds. Each Penthouse consists of 3 levels with 4 bedrooms, allowing up to 8 guests; perfect for large families, and with each penthouse featuring their own jacuzzi, it is sure to keep the kids happy. The resorts amenities make for a truly convenient stay, with each option including wireless internet, direct phone lines, cable tv, a/c and a fresh supply of bathroom/kitchen amenities and much more. If you are looking to experience impeccable service, luxurious accommodation, beautiful scenery and an unforgettable family experience this is the resort for you. Click here to see the latest prices and more information on the Los Altos Beach Resort. 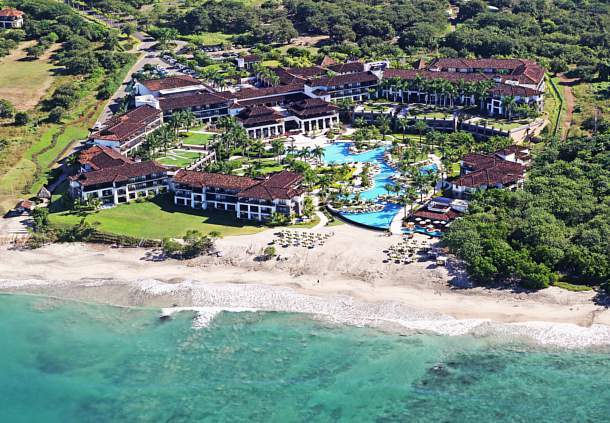 The JW Marriott Guanacaste Resort and Spa is located in acres of pristine oceanfront, situated next to the award-winning Hacienda Pinilla Golf Course. This beautifully lush, tropical resort is perfectly suited for a family looking to have a truly unique Costa Rica holiday. 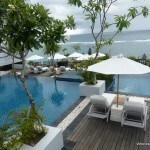 With numerous activities, amenities and dining options, this resort offers a fabulous experience. The JW Marriott has numerous activities to take advantage of, the major being their relaxing top rated Spa. Offering many luxurious treatments, including; body scrub, body wrap, couples massage, facials, fitness classes, makeup services and so much more. Spend a day golfing at the Hacienda Pinilla Golf Course or get involved in many other activities – hiking, kayaking, table tennis or volleyball, just to name a few. And if you are interested in exploring, the resort is only minutes away from the charming surf village of Tamarindo which features activities such as hiking and zip-lining. The resort’s accommodation features a range of room types. All rooms are presented with their own private balcony, gorgeous marbled bathrooms and the option of purchasing a connecting room, for the larger families. With numerous amenities provided it makes the stay that much more relaxing. These include; an over sized bathtub, double vanities, makeup mirror, hair dryer, robes, slippers, iron, room service, mini bar, A/C, wifi and more. The JW Marriott offers many delicious dining options suited to all tastes, perfect if you have some fussy eaters. Their beautiful ‘Mansita restaurant’ offers an award-winning breakfast buffet and beautifully prepared international cuisine. The ’Azul grill’ provides authentic Italian cuisine with stunning Ocean views. Or if you are looking for a quick bite, ’Azul pool bar’ offers divine fast-foodand cocktails. There are more options than this. 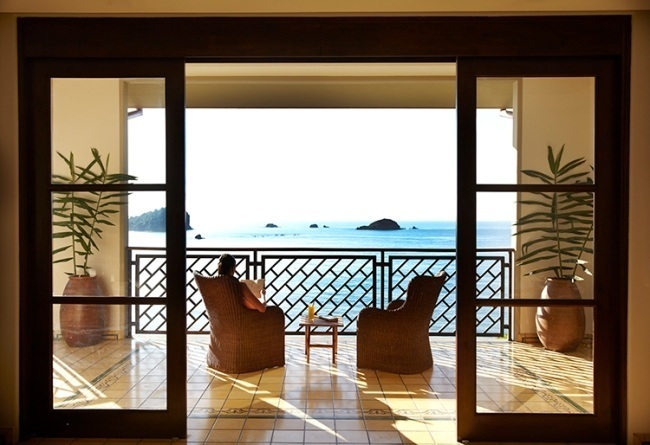 If you are interested in a luxurious, relaxing and scenic get-away, The JW Marriott Guanacaste Resort and Spa is for you. Click here to see the latest prices and more information on the JW Marriott Guanacaste Resort and Spa. 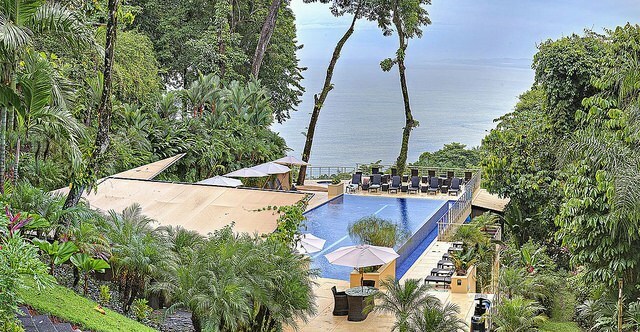 The Si Como No Resort, Spa and Wildlife Refuge is situated along Costa Rica’s Central Pacific Coast, built into the hillside overlooking the sparkling Ocean. This beautiful resort is just minutes away from the Miguel Antonio National Park, offering numerous activities, amenities, packages and dining options. This is the perfect resort for a family in love with nature and wildlife. 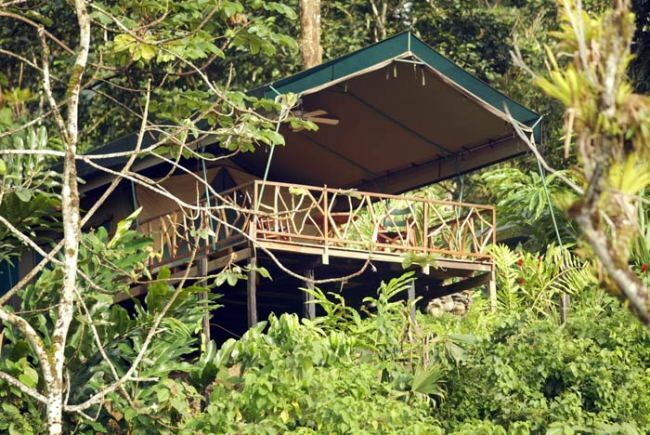 The resort is host to many activities, including numerous nature and Adventure tours, rural mountain excursions, incredible guided night walks in a private wildlife refuge, mountain horseback riding, waterfall swimming, canopy zip lining and more. Si como No also offers custom guided tours of Manuel Antonio National park, can arrange fishing/catamaran excursions and mangrove tours. If you are interested in a day of total relaxation why not take advantage of the hotels day spa offering treatments ranging from massages, muds, wraps, scrubs and facial treatments. Many packages are available in relation to a number of these activities from family adventures to romantic honeymoon getaways. Si Como No Resort accommodation offers five room types to chose from ranging from a standard room, perfect for those on a budget and still coming with two queen beds, to deluxe and honeymoon suites with large double size rooms, overlooking the jungle and ocean. This resort provides excellent dining, from their ‘Claro Que Seafood Girll and Wine bar’, offering elegant dining with beautiful fresh seafood and wine, to their ‘Rico Tico Jungle Grill’ a more casual dining experience, famous for its ‘Banana Flambe’ fire show. If you are looking for a great family resort that showcases beautiful scenery, wildlife and exciting adventures, this is definitely the resort for you. Click here to see the latest prices and more information on the Si como No Resort, Spa and Wildlife Refuge. Best parts: beautiful location, grounds and view. Best for: Families with a love for nature and wildlife. You can find some more all-inclusive hotels in Costa Rica here. What tips do you have for booking a family vacation in Costa Rica?